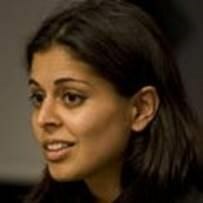 Shruti Mehrotra is currently the Director of Policy for the Soros Economic Development Fund and the Open Society Foundations’ Economic Advancement Program. In her role, she is responsible for policy support to leading reformers in countries in transition and the Refugees and Migrants Investment Initiative, a 500M USD commitment George Soros made to supporting private sector engagement with refugees, migrants and host communities. Previously, Mehrotra was Director at the Tony Blair Africa Governance Initiative, where she first led efforts to advance reforms with Guinea’s then newly elected president Alpha Conde. Mehrotra then worked with the presidential team in Myanmar to implement change in the long-closed nation before continuing on to lead development of Blair’s work across Africa. Mehrotra began her state building and governance work in 2002 when the Taliban fell in Afghanistan. There, she led one of the largest assistance efforts in the country. She went on to direct complex international assistance projects in Darfur, the Balkans, and the West Bank. Based on her work, Mehrotra was selected as a Global Leadership Fellow by the World Economic Forum, where she collaborated with the G-20 and the UN Secretary General on geopolitical and economic development initiatives. Mehrotra holds two MAs in Applied Mathematics and Global Politics from the London School of Economics and Political Science and an executive MBA from a WEF-led consortium including Harvard and INSEAD.